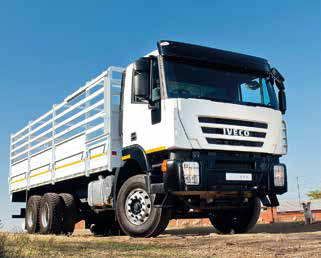 Iveco’s latest 682 heavy-duty truck range features product improvements and developments specifically designed to suit tough southern African conditions and terrains. “The 682 range is a product inspired by the best of All DAF trucks now standard with fleet management system The return of Iveco’s ‘King of Africa’ European design, with several common features of the Iveco European- produced ranges, and will be assembled at the Rosslyn plant in South Africa,” says Iveco. The 682 range is available for both the SACU market and most right-hand drive countries in sub-Saharan Africa. Originally known as the ‘King of Africa’, the original FIAT 682 is legendary for its robustness, reliability and load capacity, which made it one of the best-known trucks in the world. Iveco’s Cursor 9 and Cursor 13 engines power the 682 range. These plants are equipped with common-rail fuel-injection systems to generate maximum torque over a wide operative range, starting from a very low 1 000 r/min. The 682 range trucks are offered in 4×2 and 6×4 versions with a choice of drive-line and two different types of rear axles – hub reduction and single reduction. The wide choice of rear-axle ratios enables the Iveco 682 range to match the market demand for strong traction, high speed, heavy loads and low fuel consumption. Gearboxes are either 9- or 12-speed mechanical units, depending on the version and torque required.